As the possibility of a government shutdown at the end of April looms, some Democratic senators want to give federal employees peace of mind that they will not end up losing any pay regardless of whether their offices close. Sen. Ben Cardin, D-Md., introduced a bill (S.861) Wednesday that would ensure that in the event of a shutdown on April 28, the date on which current funding expires, federal workers would be given back pay once the government reopened. The Federal Employee Fair Treatment Act would guarantee back pay for all employees, whether or not they had been considered essential and forced to work during the closure or had been furloughed. 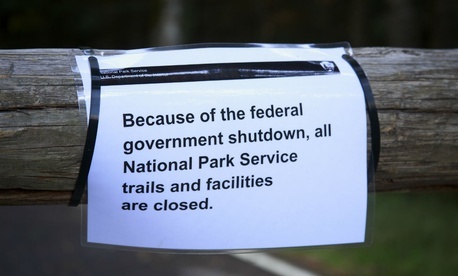 Typically, when there is a shutdown, such as in 2013, agencies are required to pay employees deemed essential to the protection of life and property, but not until after the shutdown ends. Furloughed employees have no guarantee they will be paid at all unless Congress approves back pay—something legislators have always done. Cardin’s bill, which is similar to a measure he introduced in 2015 when Congress last faced a possible shutdown, stresses that back pay should be doled out as soon as possible after a shutdown is over, regardless of when the next pay date is scheduled. The bill also would allow for employees exempted from furloughs to use paid leave as they normally would during normal governmental operations. The proposal drew cheers from federal employee groups like the National Treasury Employees Union, which represents 150,000 employees across 31 federal agencies. NTEU National President Tony Reardon said federal workers still vividly remember the uncertainty of the 16-day government shutdown in 2013 and are not keen to repeat the experience.